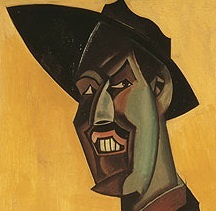 Manuscripts, correspondence, photographs, printed material, graphics, and bound manuscripts by, to, or about Wyndham Lewis, covering all aspects of his career and life. Includes one of two known proof copies of his novel The Roaring Queen, which was withdrawn before publication; unpublished novels, short stories, essays, and notebooks; and manuscripts and notes for Lewis's published books The Apes of God, Self Condemned, The Human Age (including Childermass, Malign Fiesta, Monstre Gai, and a synopsis of the projected fourth volume which Lewis never wrote), Mrs. Duke's Millions, The Red Priest, Rotting Hill, Rude Assignment, and The Writer and the Absolute. Also included are diaries of Lewis's wife, G. Anne Hoskyns Lewis, from 1953-1967, and Civil War reminiscences of his father, Charles Edward Lewis.